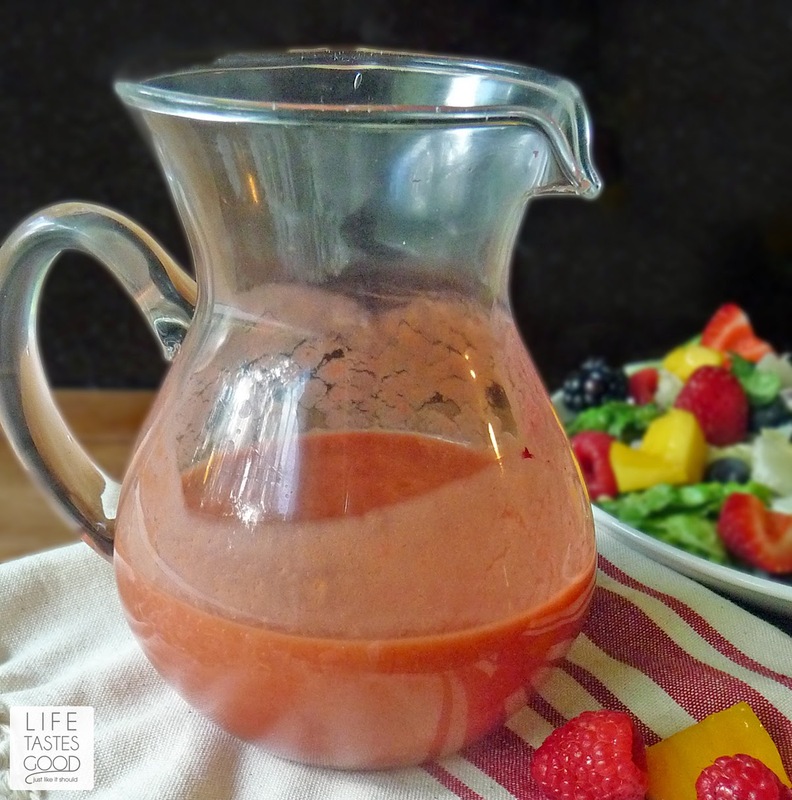 Mango Raspberry Vinaigrette is a little bit sweet, a little bit tangy, and a whole lot tasty! 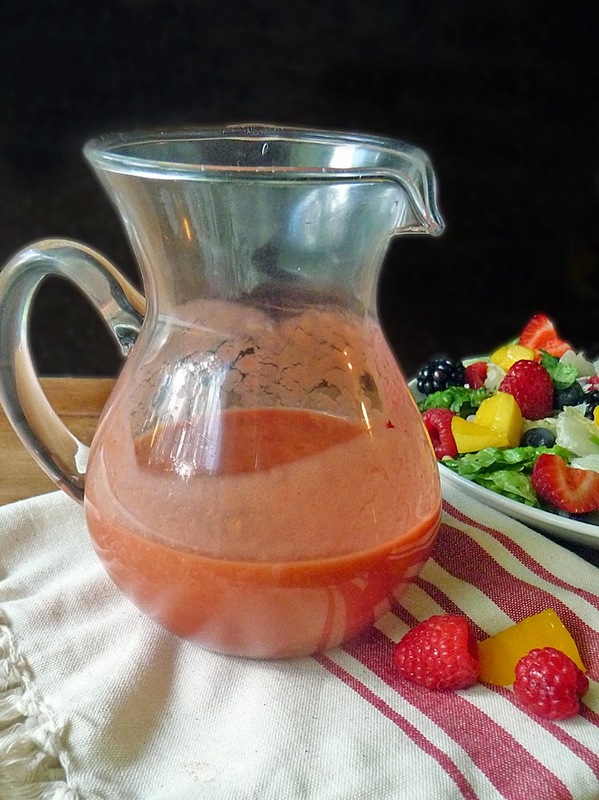 The tang reminds me of a french dressing just a little bit, but the flavors in this vinaigrette create something much more flavorful than your traditional store-bought french dressing. A vinaigrette is made by blending oil with acid and seasonings to form a sauce. I like to make my own dressings using fresh, quality ingredients. It is easy to do and only takes a few minutes to make up a delicious topping for salads, vegetables, or even use as a marinade. I also love the fact that I can control what goes into my vinaigrette! I can name all the ingredients and leave out the funny stuff that just messes up the flavor! Another great thing about making your own vinaigrette is you can adjust the flavors to your liking. Taste as you go! 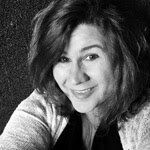 The final product is completely up to you! Being in control is a beautiful thang! Place 1/2 cup fresh raspberries and 1 diced mango in a bowl. Sprinkle with 1/2 tablespoon sugar and set aside. In a blender or food processor place 1/3 cup white balsamic vinegar, 1/2 tablespoon honey, and 1/4 teaspoon kosher salt. Pulse to combine. Slowly add in 2 tablespoons of olive oil until the mixture is combined. Add the fruit to the blender or food processor and pulse to combine well. Using a good blender or a food processor will take care of the raspberry seeds, but you can strain it through a fine mesh strainer if needed. Cover and chill until ready to use. Enjoy! You know how I love fresh, homemade dressings. 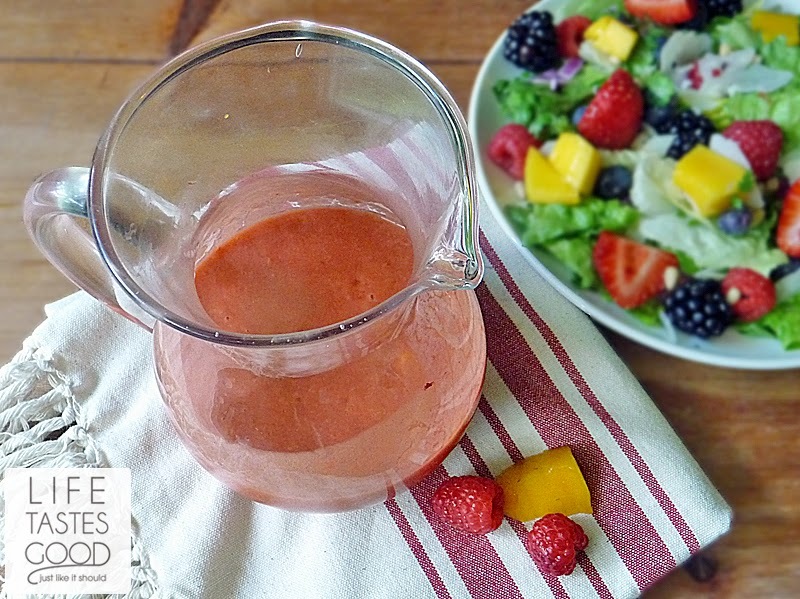 Your Mango Raspberry Vinaigrette sounds like a real winner. Pinned. Thanks Marion! Thanks, KC!! You and me both! There's just no reason to buy it in the store when it's this easy to make! Have a great week and thanks for stopping by! This sounds amazing Marion. I love the flavors you've put together and that salad looks like the perfect vehicle for this dressing. I am looking forward to the recipe! That salad looks amazing Marion! I'd love that for lunch today. 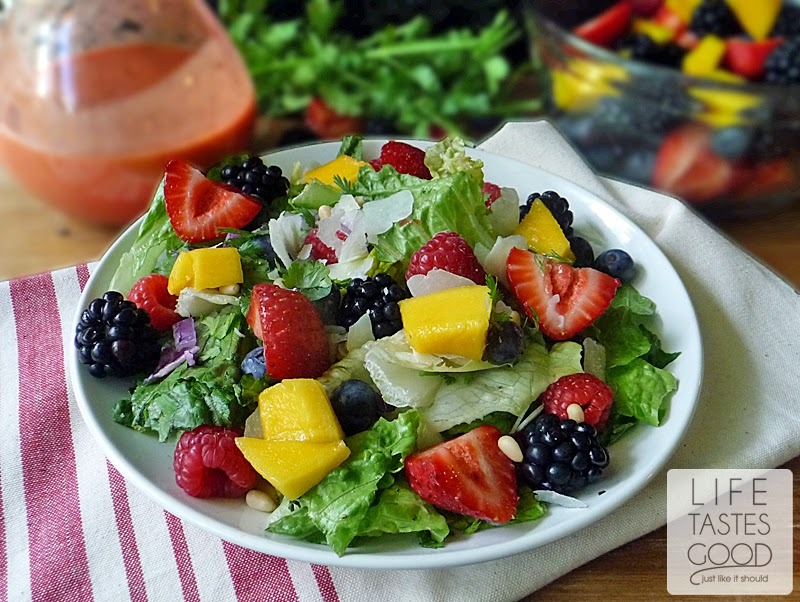 Love the flavors of your vinaigrette! Thanks, Shelby! It will definitely make another appearance on my table during this hot hot summer!